¡Entrad en nuestro nuevo portal! Estamos felices de poder abrir la puerta y ofrecer un encuentro de FAMILIA. Enter into our new site! We are very happy to open our "home" and offer a moment of encounter of our FAMILY. 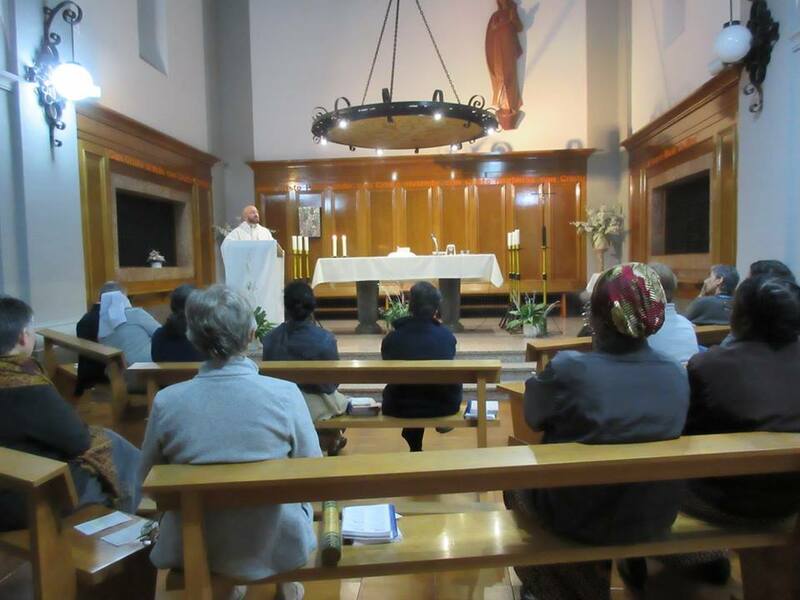 REUS - The celebration of the inauguration took place first within the thanksgiving Mass presided by Fr Ricard Costa, Provincial superior of Claretian Missionaries of Catalonia. We were gathered sisters form different communities, collaborators, and even relatives of María Antonia from Tarragona. In teh second part the Superior General Maria Soledad and representative of the City Council Dolors Sarda, addressed all with meaningful messages, stressing on the actuality of the life of Paris and the relevant aspects of her witness bringing them to our days. The Museum wants to be a place of encounter with this woman fully dedicated to God and missionary service for others. Walking in faith and evangelical values, she shows us the way and invites us to walk together helping each other in reaching horizons of goodness and justice. We ask her to intercede for us, especially when our paths of life, mission and hopes are darkened. All over the world as Claretian Family we have celebrated on 24th the day of the Founder, inspirational person of our Charism and model of Evangelizer. Saint Anthony Maria Claret. The different posts on Facebooks, local websites, manifest the vigor of the missionary spirit of the Family in sharing the joy of the celebration, in gatherings, prayer services and renewed commitment for all the apostolates we carry out. The same day the Centre of Studies on Claretian Spirituality in Vic (CESC) opens a new Website, where offers access to the sources: documents, writings, and reflections related with Saint Antonio María Claret. This becomes a wonderful place for the encounter and deepining of his Charism so that may not be only a "virtual" space, but with it contains, enkindle our hearts with the missionary flame of Love for Christ and His Gospel. From 13 to 22 October in Reus we celebrate the XVIII Meeting of Major Superiors and Delegates with the General Government. The motto that guides and encourages our reflection and sharing is: “Strengthen us in You, Christ our rock .... make our steps firm on the path yet to build”. Sharing and reflecting on the reality of the congregation streaming from the reorganization of our Entities, we seek together the essential aspects to build on this new Congregational time in perspective of coming XVII general chapter. It is a training and illuminative space on various topics, including some elements of universal and proper law. But it is above all, a space for listening to the Holy Spirit and his invitations He addressed us with at this time in history. In this House of Reus, so significant for each Claretian missionary, we experience the feeling to be especially guided by Maria Antonia Paris on the rock of the Evangelical inspiration she transmits. 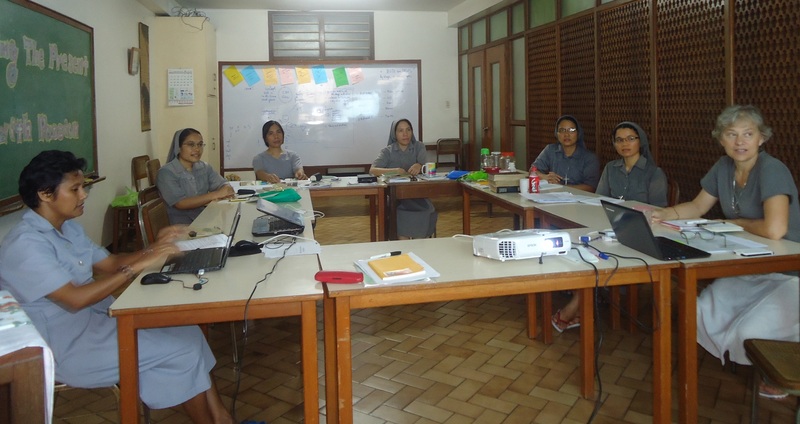 Since last 24th till 3th of September the East Asia Formators team (Marissa, Marita, Melania, Bernadeta, Selfia and Anastasia) together with the general prefect of formation Jolanta Kafka had their workshop for the project-manual of the formation for East Asia province. 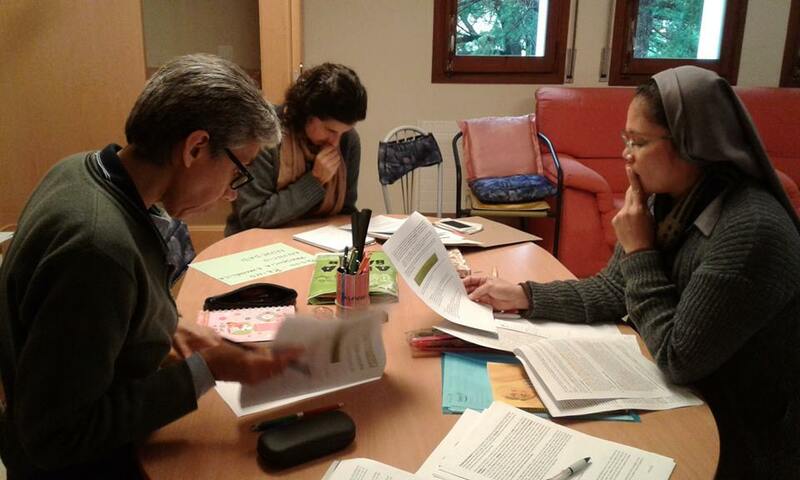 Sr Jolanta at the beginning days she gave the formators some inputs based on the materials elaborated by general Team on Formation on December 2015 in Rome. Indeed very helpful for the formators to enlighten, reflect, and share their own experience in the mission of formation. Each day was begun with prayer guided by Jolanta on key words for formators: listen, complacency, be born again and other attitudes in formation process. I helped to start afresh the workshop each day with more inspiration and inner joy. It was possible to elaborate a big part of the task yet still we should complete it. The sisters express heartfelt gratitude to Jolanta for helping the formators and to the beloved Province for all the provisions both materially and spiritually to pursue this dream; to all the formators thanks for the dedication for this mission. 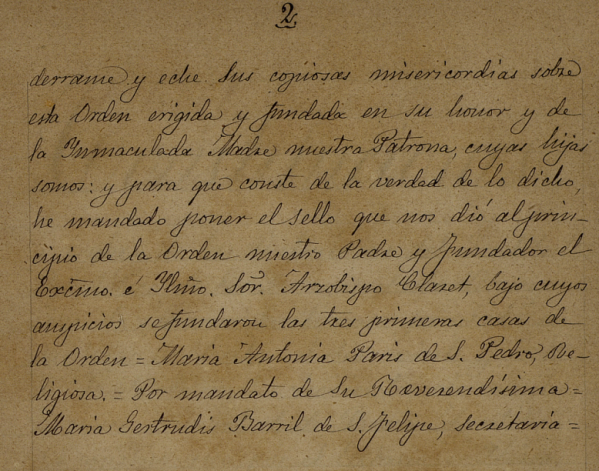 A beautiful image, the introductory page of the Constitutions of 1869 (copy of Reus in the handwriting of Mother Gertrudis Barril), which speaks of the “logotype” designed by Archbishop Claret and about his role as Founder and promoter of the first foundations. The seesaw of letters, long conversations and dialogues, especially between Mother Paris and Bishop Claret, have marked the early years in Cuba until the papal permission arrived to celebrate this day, August 25, 1855, when they saw the culmination of efforts in the Foundation Act. Conversations and dialogues as the way of God to break the path for His will along the history. Commemorating the Congregational anniversaries in these days, with joy and gratitude we are following the paths opened by Claret and Paris. Happy Festival to all the Sisters and to all those who share the same mission! The month of August is full of Congregational memories and anniversaries. Today we commemorize the Marthyrdom of Barbastro claretian community, recalling their sacrifice and faithfulness to Christ. We too share the good news on the mission in Aondona - central Nigeria. 12th of August is a historic date for our mission in Nigeria. The sisters Aimee Bwala Bwala and Felicia Kwaghvihi came to the house of the new community in Aondona - Benue state (Diocese of Makurdi) in central Nigeria. Soon two other sisters come from Congo to form together the community. 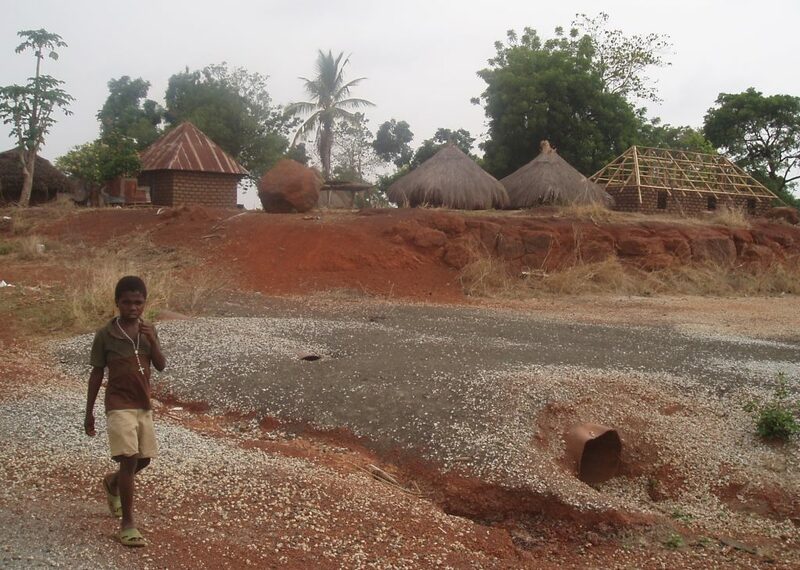 High school founded by the diocese will be the first field of education and evangelization in the village Aondona. It is an urgency because the children had only primary education. With the help of teachers from other diocesan schools there will start the classes. There are already some enrolled to start school in September and the number is growing every day. The second field is the pastoral in the parish and formation of catechists. Many people are still traditional African religions followers and many polygamous families. Their life is very simple. They are supported by agriculture. Everything is new: the place, language and culture, apostolate. We need your prayers, we especially ask the elderly and sick sisters. Please do remember us in your prayers to listen to what the Spirit guide us by his ways of bringing the light of the Gospel to the end of the world, where our work is more urgent and effective. With joy, the Superior General Ma Soledad Galeron ANNOUNCED the celebration of the next XVII General Chapter which will be in Rome from July 18 to August 12 of 2017. 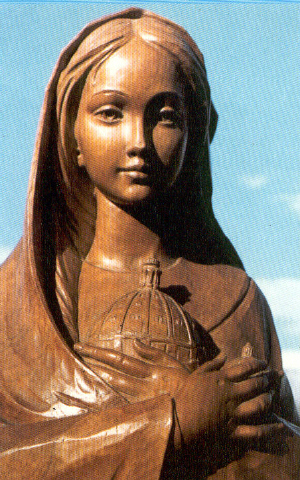 From July 16 we have started the process of preparation to the Chapter under the protection of Mary, Star of the Sea. entrusting to her our new sailing towards this event of transcendental importance in the life of the Congregation and of each sister. In this moments of our intensive preparation all members and collaborators are invited to pray and contribute in the reflection: Lord, what do you want from me and the congregation at this moment of history? How to fulfill our apostolic vocation in the troubled political and socio-cultural reality in which we live? The path will gradually get collours of visions and discernment.